The Scott County Library System is a service-oriented network of community libraries whose mission is to fulfill the informational, educational, cultural and recreational needs of the community through the acquisition, organization, access and guidance to a wide variety of library materials and data. The Belle Plaine Branch of the Scott County Library System is happy to be a vital part of the local community. We strive to support the needs of a wide range of library customers. The library stocks large print books, audio books on tape or CD, music and a wide variety of books, magazines, videos, DVD, E-Books and newspapers. We can supplement the materials available in the Scott County Library System with materials from libraries throughout the state and neighboring states, through cooperative agreements with other libraries. Your library card is good at any of the towns and cities in the Scott County area. Make sure you have the smartest card of all-your library card. With the smartest card you can get help with your homework, download audiobooks to your MP3 player, research companies for that upcoming job interview, learn a new language, check out books or movies to relax with, and so much more...Contact the Belle Plaine Library or stop in to sign up! Did you know we have a Toy Lending Library in our Community? If you didn't you should visit the Library. There is an assortment of items including: book and prop combinations, puzzles, creative dramatic play, science, musical toys, computer games and audio CDs. Toys can be checked out for three weeks at a time and must be returned in clean and complete condition. This is a great opportunity to have special toys for grandchildren coming to visit or Daycare Providers to provide a unique experience for their daycare children. The Toy Lending Library is made possible by the Belle Plaine Friends of the Library and ECFE. Family Story Time - ECFE is going to the library! The Belle Plaine Public Library and ECFE are coming together to provide you with fun and interactive story times. We will read stories, sing songs and play games as we explore a variety of books and poems. Be sure to come and visit us at the library and don't forget your library card for checking out books, movies or toys! Special Events - The Belle Plaine Public Library has special events happening throughout the year. Please look to the right of this page for a schedule of these events. 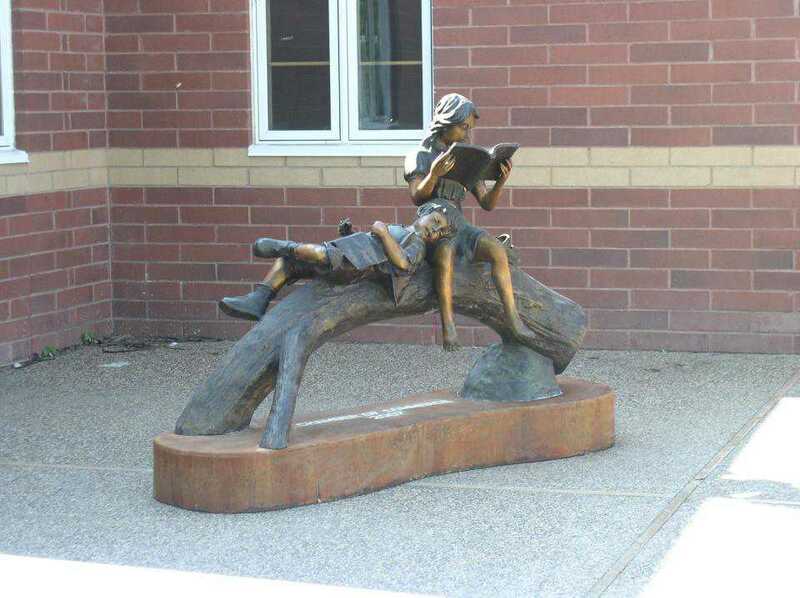 Do you enjoy the programs, books, computers and even the building the Belle Plaine Public Library is house in? If so, you can thank the members of the local Belle Plaine Friends of the Library. The Friends of the Library sponsor an annual book sale at the Belle Plaine Public Library. They donate time and funding towards the Summer Reading Program, other programs and author's visits. They have even brought the jolly old elf, Santa Claus into the library to visit with the children and grown-ups. He's always checking to see if you've been naughty or nice! Currently any fundraising the Friends of the Library are doing is going towards the purchase of a new microfilm machine to have for use at the Library. The fundraising comes from the annual book sales and the charitable gambling fund. The group meets every first Monday of the month at 6:30 p.m. at the Library or if attendance isn't possible, via e-mail. The Belle Plaine Friends of the Library is always welcoming new members, adults and children, to it's group! You can download an application from the website or stop by or call the Library during business hours.